As you are aware from my blog and website, I am an ardent Ossie Clark and Celia Birtwell fan. I do however have two major regrets regarding my appreciation of Ossie. 2. 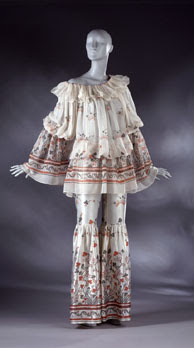 That I was not into Ossie pre May 2004- a big mistake, as I missed out on the Victoria and Albert Museum's retrospective, which by all accounts looks like it should definitely not have been missed. Ho, hum........so I reconcile myself by checking out my favourite websites, which all offer a good dose of Ossie Clark images and items for sale. This dress is the same print and material as the one I sold, but mine was a short sleeve version without the neck detail and in mint condition (boohoo!) 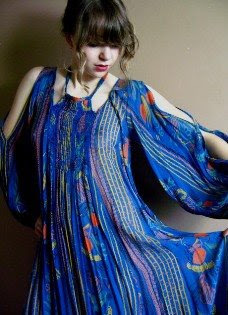 This dress is currently for sale on C20Vintage's website-check it out! Lovely images of Ossie Clark's works of art, currently shown on the Victoria and Albert Museums website. 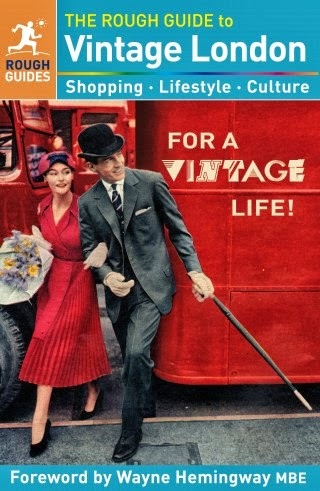 I still am looking out via boot sales and charity shops for that elusive find-wish me luck! Hey! I stumbled upon your site while searching for an Ossie Clark dress that has HAUNTED me for four years since the day I went back to the vintage shop with money and it had been sold. I mean, I would get married in the dress, I love it so much. So anyway, I relate. That top dress you picked out is absolutely gorgeous.